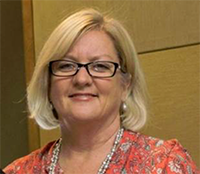 Professor Sandra Carr is the Head of the Division of Health Professions Education. Sandra has a long history of working and researching in learning and teaching of health professionals. Her focus is on the development of graduates who display empathy, respect, genuineness, self-awareness, and reflective practice. Sandra is the coordinator of the new undergraduate major in Humanities for Health and Medicine.